Sharing a causal Thanksgiving outfit idea today! I wore this outfit last week to work and since then I've been finding every excuse I can to wear this headband. I've definitely never been a preppy person but I love the latest headband styles that have a more boho feel! Are you on board for the headband trend? Super cute headband, Michelle! And this really is the perfect casual outfit for Thanksgiving. That's the perfect Thanksgiving outfit to wear to my house! Such a cozy cardigan. Love the color and style. Have a fabulous Thanksgiving, Michelle!! I'm all for casual! Happy 1st Thanksgiving as a married couple! I love this casual look for Thanksgiving, and you look fabulous with a headband! Those booties are super cute—I've been looking for a pair just like them! 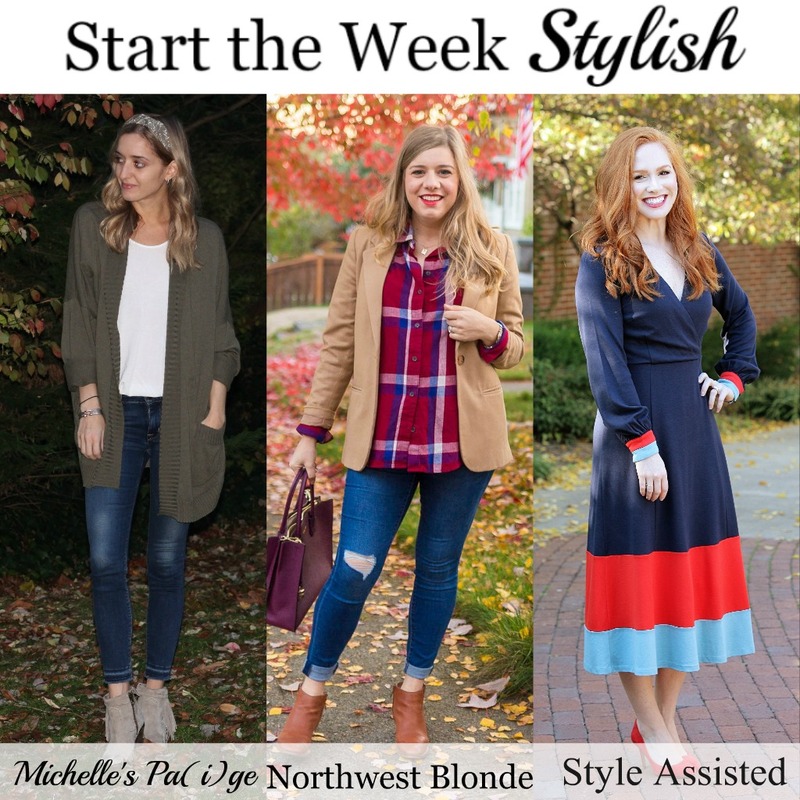 Thank you so much for featuring my look from last week! I love that cute headband on you! The green cardi is so cute and I just love those boots! Definitely a cute Thanksgiving look! This is a perfect Thanksgiving outfit - I love your olive cardigan! Love this chic cardigan! Happy Thanksgiving Michelle! Love the cardigan! Such a nice colour. Love the cardigan, so cozy and comfy. Very beautiful and casual. I really like the headband. Love your lovely looks!! Casual but chic. I always loved headbands but I would not mind trying the boho trend! Your headband looks cute and I love your cardigan.